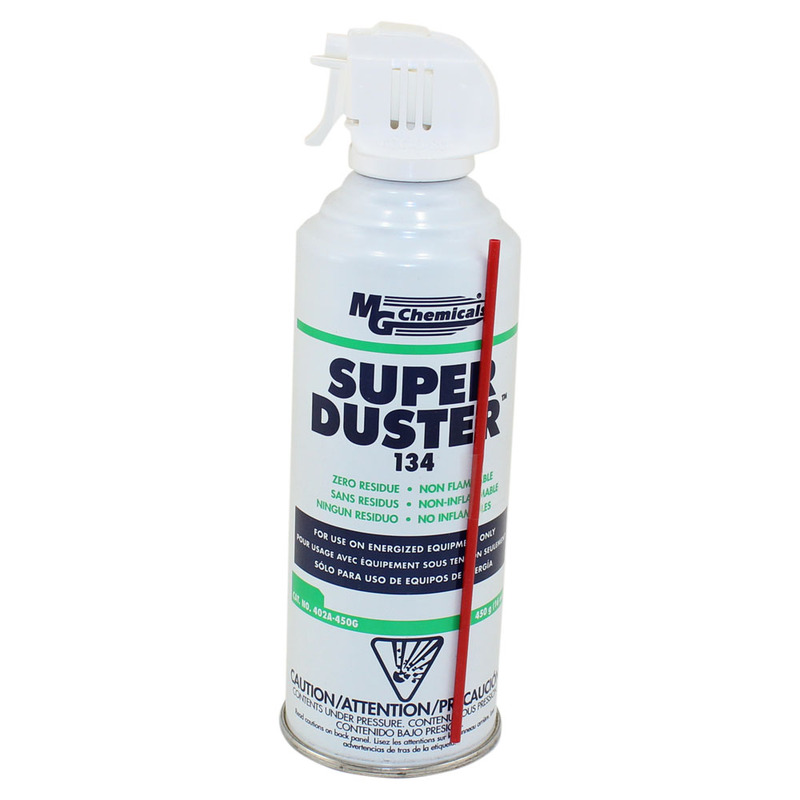 Circuit Specialists stocks MG Chemicals' affordable super dusters, refill canisters, and chrome-plated trigger valves for your electronics needs. 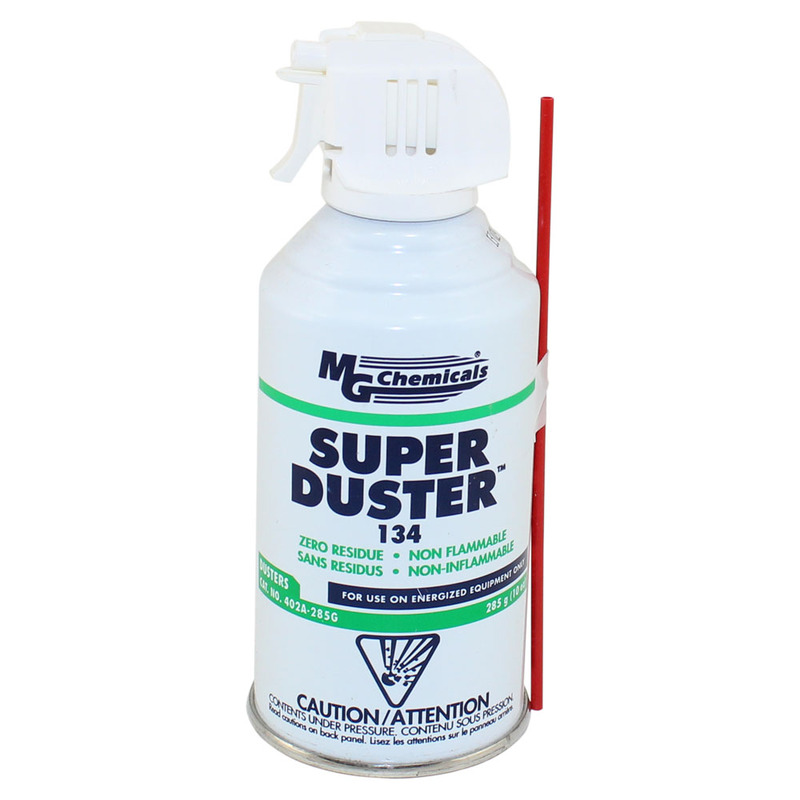 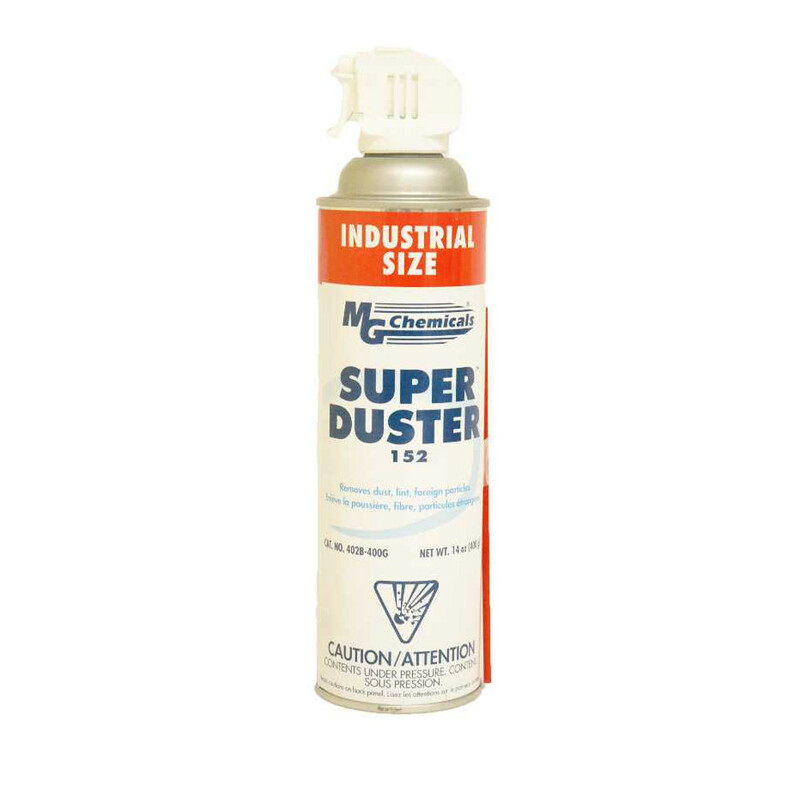 Super duster is perfect for removing microscopic dust, lint, and foreign particles — making it suitable for cleaning computers, keyboards, printers, A/V equipment, and much more. 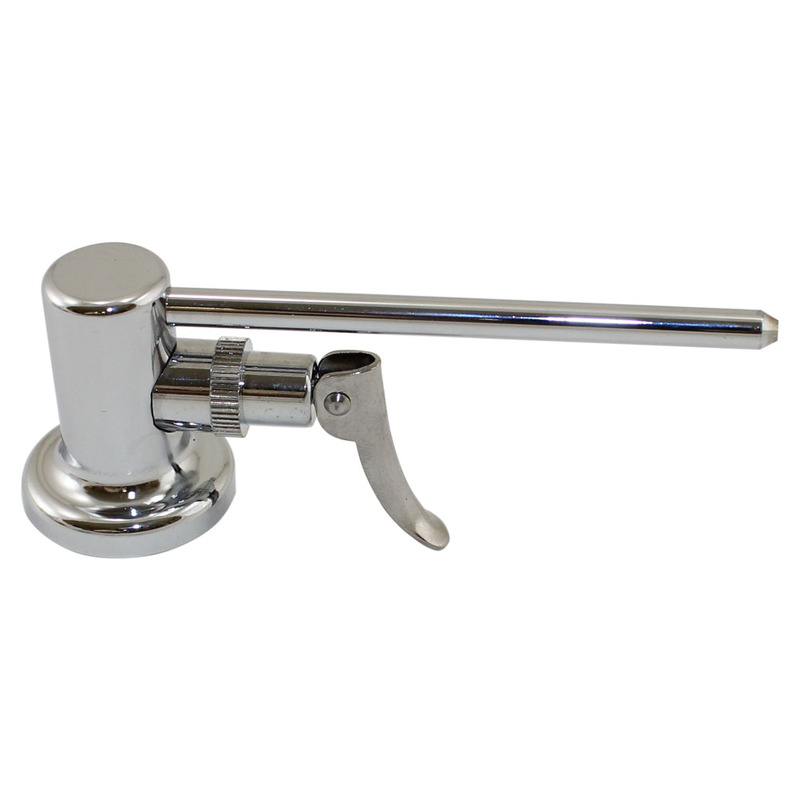 Our chrome-plated trigger valves (used with refill canisters) allow you to have precision control and greater comfort. 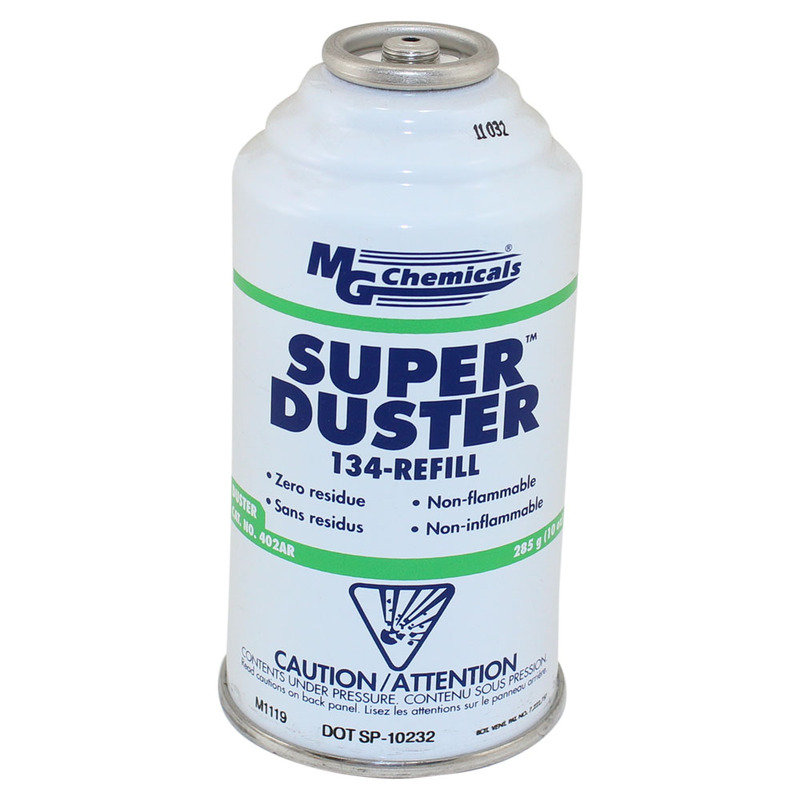 These valves are easily screwed onto duster cans and can be removed anytime.